​In this fun one day workshop you will learn how to operate Hydraulic press, what can be done with such equipment. 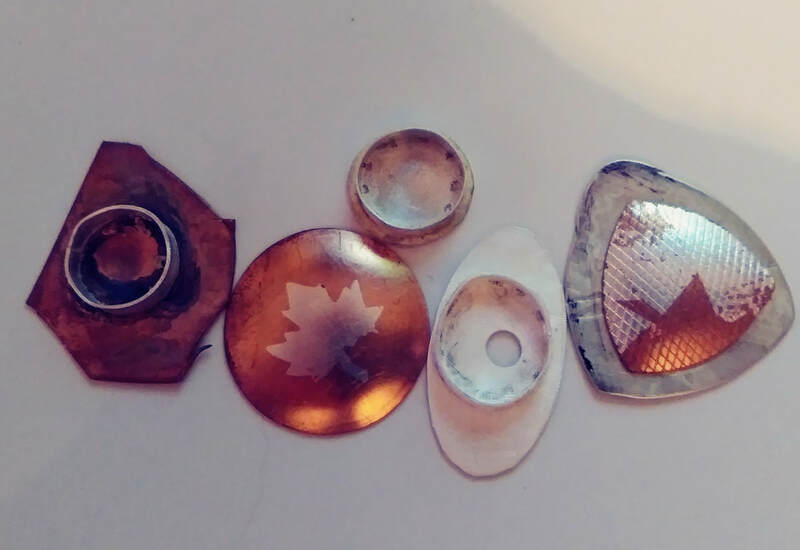 You will learn how to cut your very own custom made dies. 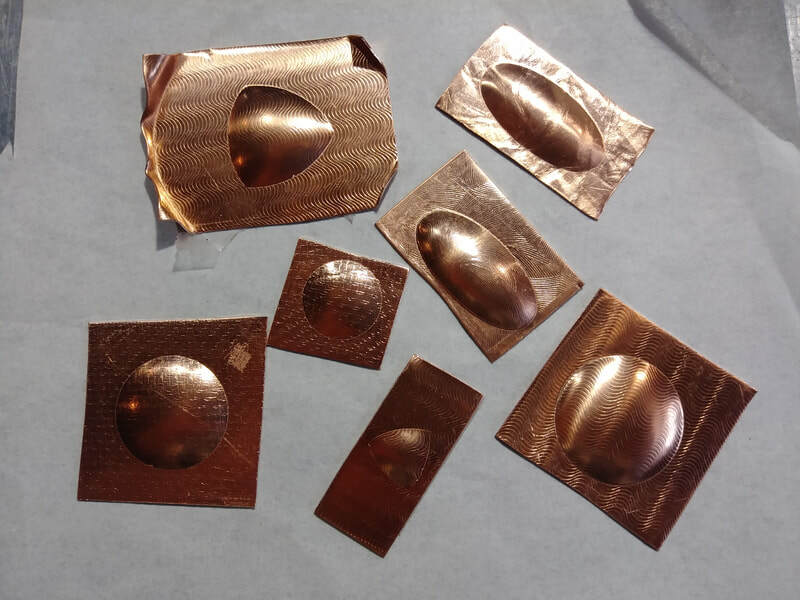 Will complete few projects from copper (pendant and earrings). 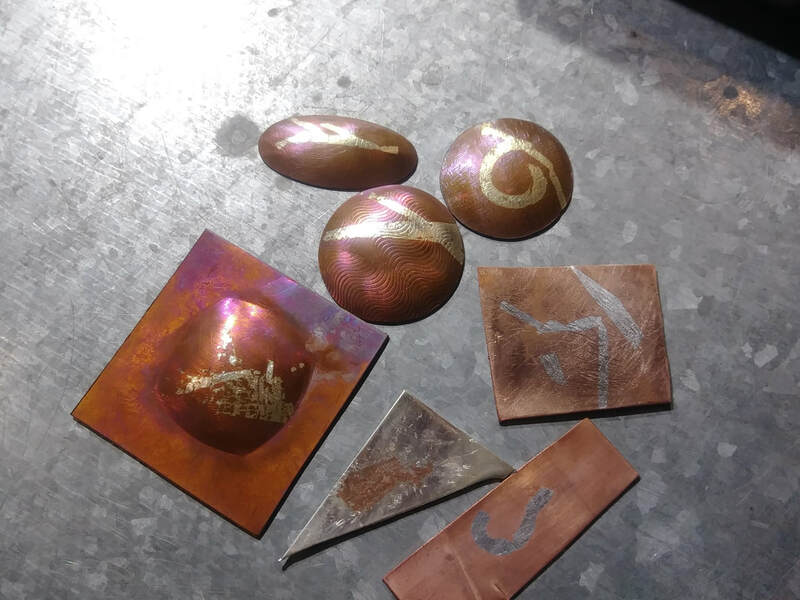 If you prefer working with Sterling Silver, it's could be available for purchase or you can bring your own. ​Class size is limited to 2 for more focused instruction. 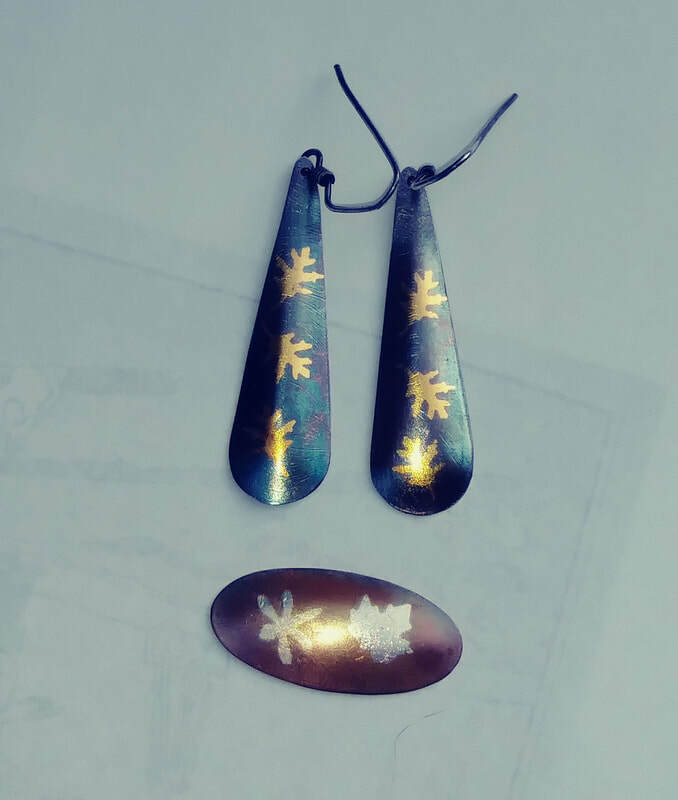 Tuition is $195 and includes class enameling kit and use of the equipment in my studio. If you would like to register for class please fill out the form below or contact me at lkeginz@netscape.net and I will send you a PayPal invoice. You full payment will secure your spot in a class. Tuition fee is non-refundable 3 weeks prior to the class, unless you can found a replacement. Please check Workshop Policies tab.